Cash prizes for top 10 players each week. Startingfrom06-01-2013. Winners announced at the end of each week and every weekthereafter. Register on our site to enter your scores. Multiple finger touches help destroy blocks. being frantic leads to mistakes. Use Combination of power-Ups to make short work of thelevels. All users start with one of each type of power up. Users gain additional power ups each section completed. All Players start at level 1. Each Section contains 12levels. Register on the Money Back Apps site. This will guarantee entry for MONEY BACK. Money is earned for playing the game well enough to be in the top10high scores of the week. it will reduce points scored. easier and increases points scored (By up to X3). The calmer the game play, the more points you earn. last level you were playing with your score intact. game played and the score will not be entered in the HIGHSCOREtable. WIN CASH PRIZESCash prizes for top 10 players each week. Startingfrom06-01-2013.Winners announced at the end of each week and every weekthereafter.Register on our site to enter your scores.YOU DON’T NEED TO SPEND MONEY TO ENTER FOR THE MONEYBACKJUSTPLAY THE GAME REGISTER @ WWW.MoneyBackApps.COMThis is a mini version of the original game and will be run onalot moredevices enjoyGame PlayMultiple finger touches help destroy blocks.Based on the idea that you stay calm and can controlthesituationbeing frantic leads to mistakes.Power UpsUse Combination of power-Ups to make short work of thelevels.All users start with one of each type of power up.Users gain additional power ups each section completed.LevelsAll Players start at level 1. Each Section contains 12levels.Completing a section will give the user one more of each typeofpower upSection 1 = 1 of each type of power upSection 2 = 1 of each type of power upSection 3 = 2 of each type of power upSection 4 = 2 of each type of power upSection 5 = 3 of each type of power upSection 6 = 3 of each type of power upand so on .......Speed will increase each 6 levels so be carefulAdditional InfoRegister on the Money Back Apps site.This will guarantee entry for MONEY BACK.Money is earned for playing the game well enough to be in the top10high scores of the week.Ensure that you sign in on the app with the registeredusernameFrantic PlayIf the game detects multiple clicks (frantic finger flicks)it will reduce points scored.Staying Calm Increases your scoreCalm PlayKeeping fingers attached to the display makes game-playeasier and increases points scored (By up to X3).The calmer the game play, the more points you earn.Continue ButtonClick on continue when you reload the game. It will startfromthelast level you were playing with your score intact.NOTESIf you start a new game instead of continuing you will losethelastgame played and the score will not be entered in the HIGHSCOREtable. Wrap your mind around gravity in this physicsbased puzzle game. 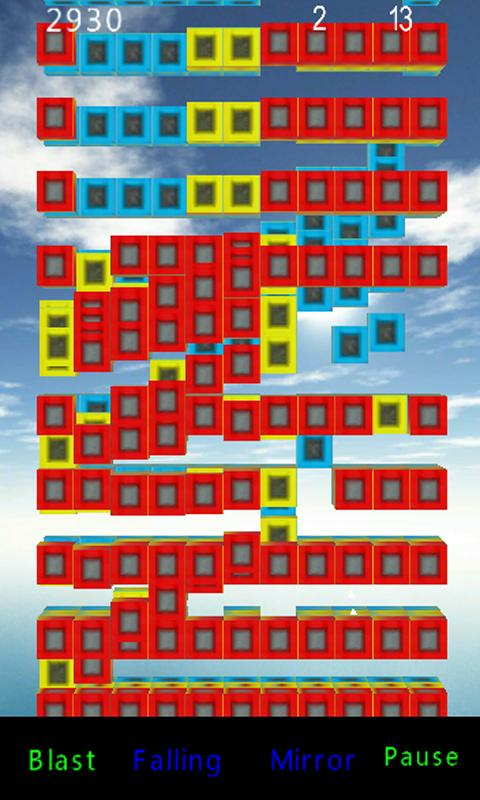 Destroy the blocks, but be careful, you're onlysupposed to break certain kinds of blocks!Now features 40 original levels, each with a unique puzzle tosolve! Brick Game is classical game and veryinteresting with very nice graphics design. It’ll take you back tothe childhood. Challenge yourself and compete with your friends,colleagues and the familyThis Block game gets all the charm of the Puzzle game Simple, fun,attractive and suitable to everybody- 3 mode : Classic, Timer, Extreme- Amazing sound, effectPlay for fun. Bricks Breaking is incredibly simple yet very addictive classicpuzzle game where player needs to destroy all bricks by clickingthem in groups of the same color. More bricks you destroys at oncehigher score per brick you will get. Group as many bricks of thesame color together as possible before destroying them for a higherscore. If you would like to destroy a single brick you will need touse a magic star. INSTRUCTIONS: Destroy all the bricks by clickingthem in groups of the same color. You need to use a magic star ifyou want to remove a single brick.Compare your scores with yourfriends or other players. 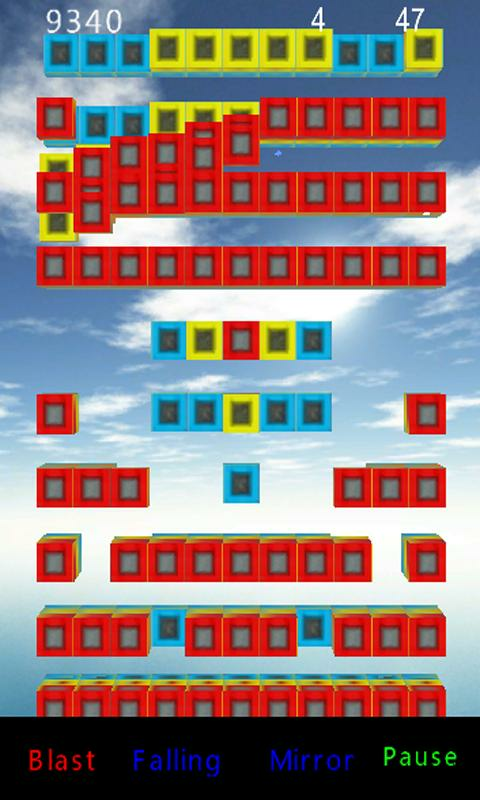 Glass breaker is a game to remove two or more blocks of the sameshape. 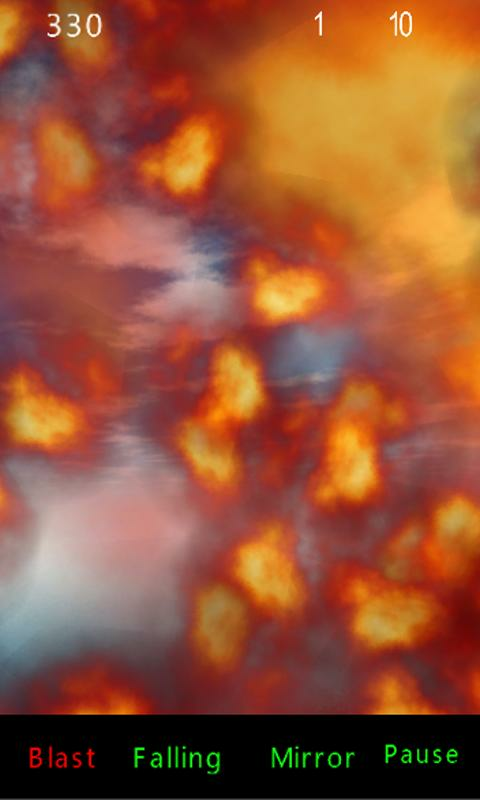 However, you can get as many points by detonating manyblocks at once. Action mode opens up a lot of block games in lessthan a minute. In the original mode, you need to achieve the targetscores to clear the stage before you can proceed to the next level.You're going to blow and break a cool glass blocks stress. Features- Various Game Mode(Original, Action, Shift) - Auto Save Enjoy!